premium_batteries has no other items for sale. Quick Shipping ~ Thanks ~ I'll purchase from you again! A++ Arrived Quickly. Thanks ! Thank you for a hassle free transaction and fast shipping! 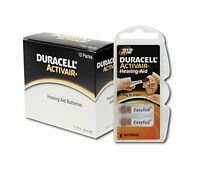 My first choice in hearing aid batteries. Excellent quality, reliable and consistent quality, easy to remove tabs, and as environmentally "clean" as can be by today's standards. 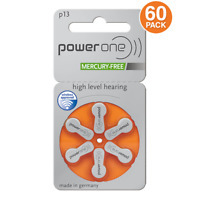 I've never been disappointed with these batteries and will continue to purchase them for as long as I have hearing aids--for the rest of my life! These batteries perform as good as any. I don't notice either shorter or longer life than the next brand. They are so small it would take some sophisticated lab equipment to extract any meaningful data about their quality. Asking me to review them will yield ambiguous answers not intended to support or disparage either one. They look like batteries, and they work like batteries, and I'm happy with what I get. "Mercury Free" doesn't even impress me because if you don't let the mercury out then it doesn't harm anyone. I've used these hearing aid batteries before. The battery lasts about a week before you have to change them out. I'm satisfied with that, since they are cheap enough to replace. These are in the original manufacturer's packaging. 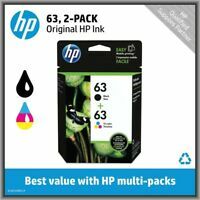 Good quality, good value. I have used this battery brand several years now and wish I had found them before I paid way to much for American name brands at 6 times the price. I keep good records on the longevity and they last the same or longer than the American brands. So long Bunny that keeps going and going, you cost way to much. 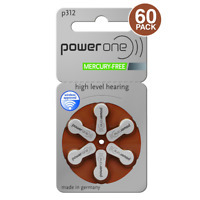 I have used various brands of hearing aid batteries during the past seven years, and Power One has the best quality and lasts the longest. You won’t go w ring with them.